Synopsis: At the Valley View Motel in South Australia's picturesque Clare Valley, eighty-four-year-old Lola Quinlan is up to her usual mischief. She's sent her family away for Christmas and invited a number of mystery guests to come and stay. But who are all these people, and why aren't they spending the festive season with their own loved ones? As the big day draws closer and Lola's personal family dramas threaten to unravel her plans, she discovers that at a special time of year, magic can happen in every family – especially your own. A funny and sad and moving novel about the very meaning of life, Lola's Secret has touched the hearts of women the world over. My Review: I LOVED Lola's character. She was a hoot. How thrilling it would be to live such a full life at her age! I can't help but laugh at her internet/sales/advertising savvy, not to mention her plotting and planning everyone's Christmas. Lola wants her family to take a much needed break from the Valley View Motel and its business. She encourages them all to go away for Christmas. She won't be alone after all, the Motel will be filled with guests. As Christmas approaches, there are no guests registers. Lola's quick thinking takes care of that. Now that the Motel has special guests coming for Christmas, Lola sets out to make it a very special one for each and every guest. Is Lola able to pull her secret off, or not? Without giving anything away, you will need to read Lola's Secret find out! Lola's Secret is filled with humor, family drama, great characters, and lots of entertainment! If you are looking for a fast, great read to start kick off the holiday season, I recommend you pick up Lola's Secret! 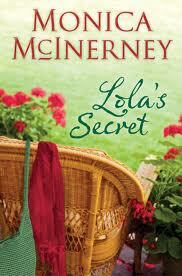 What I didn't know was Lola's Secret is a sequel to The Alphabet Sisters (which got great reviews). You don't need to read The Alphabet Sisters first, but it has been suggested. I just picked up The Alphabet Sisters at my local bookstore. More of Lola....how exciting! Meet the Author: Monica McInerney grew up in a family of seven children in the Clare Valley wine region of South Australia. She has lived all around Australia and in Ireland and England. 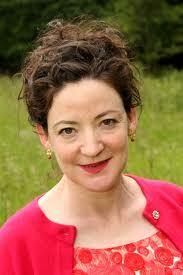 Her novels are bestsellers in Australia and Ireland and are published in translation in Europe. Those Faraday Girls won the General Fiction Book of the Year in 2008 in Australia. Her mot recent book, At Home With The Templetons was shortlisted at the 2010 Irish Book Awards in the Eason Popular Book of the Year category. She now lives in Dublin with her husband. You can find Monica at her website and on Facebook. Purchase it: You can purchase Lola's Secret on-line at Amazon for $15.00 ($10.20 for Prime members or $9.99 Kindle version). Other covers: I found these other covers....I have to say, I love these better than the latest one. Giveaway: I am so excited to be able to host a giveaway. All you have to do is leave a comment with our email, letting me know if you are ready for the holiday season to start? Contest ends October 24th at midnight (EST). Good Luck. Monday, October 29th: Peppermint Ph.D. I hope you enjoy The Alphabet Sisters. It was my first Monica McInerney book and it moved me so much! 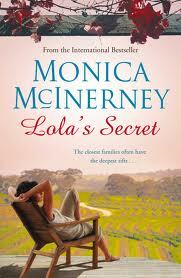 Clearly, I need to read Monica McInerney books! :D Thanks so much for the giveaway! 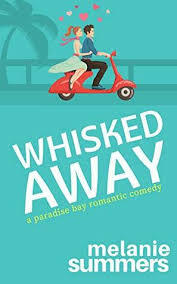 thanks for the chance to read this fabulous novel...and no, i'm not ready for the holidays to start...yet! Nope, I'm not ready for the holidays yet. I agree with you about the covers, the older ones are definitely better. Please enter me in the giveaway. Thanks for the chance. I absolutely love this time of year. I've begun planning & preparing already. The holiday season? What holiday season?? If you mean the Halloween season, then yes! I love Christmas, it's my favorite time of year but I am not ready at all. I am definitely not ready for the holidays. I'm breaking into a cold sweat at the mere mention of holidays. Thanks for the giveaway. 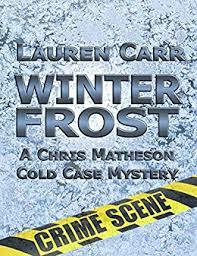 I love reading holiday-ish books around this time of year - it helps get me in the holiday mood! I am ready for the holiday season to start. Thanks for having this giveaway. I'm never fully ready for the holidays, as in shopping, but I love Christmas so much I could live in Christmas Town all year! Welllll, I have started Christmas shopping, but I still don't feel like I'm ready!